I have been flying and creating cinematic aerial films for more than 5 years and I wanted to share some of my post-processing workflow with you in this article. Ok, so, now you have been flying and shooting beautiful drone videos, you master the shooting techniques, know how to use ND filters for the 180º rule, done beautiful cinematic movement and finally collected hundreds of gigabytes of amazing drone shots and you are ready to share it with the world. Now what? How do I post-process it? What shall I do with all that footages? How can I create a worthy film that looks amazing? Choosing the right software to work with is essential. 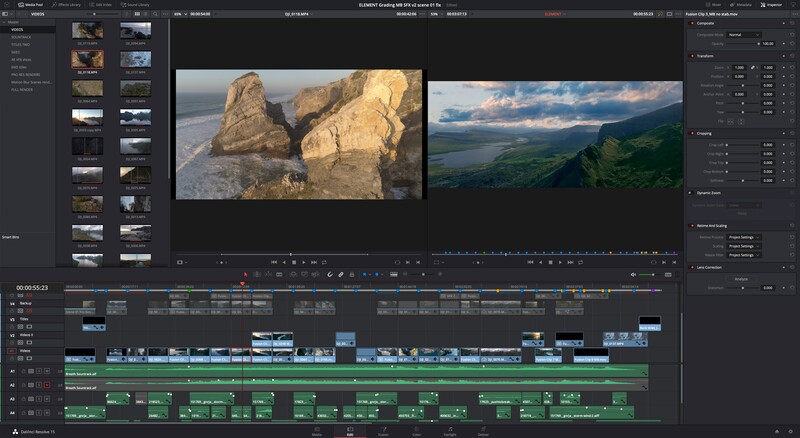 Over the years I been using Adobe Premier, Adobe After Effects, Adobe Audition, Magic Bullet Looks for creating my films, but recently I switched to Blackmagic Davinci Resolve 15 for almost every aspect of the post-processing. It&apos;s a free software what basically include editing tab, vfx (visual effects) tab, color correction, grading, and sound editing tool, and the best part it’s free. There are few other options on the market (such as Final Cut Pro, Pinnacle, Vegas Pro and others) but since it&apos;s free I used this one. Think ahead when choosing the right software, about what are you going to do with your film. If you only need simple edit, slight grade and add some score and sfx then most of the software will be fine, but if you are looking for pro-level grading, vfx and some other improvements or fixes to your footage then more advanced software are needed. Before you start your project think about what type of film you wanted to create. For example a slow-moving, more cinematic style film or fast-paced, fast cuts, creative transitions, more blogger type of film or perhaps a travel style, with occasional ground footage and people shots, type of film. The style and type of film will determine the edit and sound score as well as grading. So think about it beforehand. You can go for a full 4K size for your film and it’s fine, but I typically use 3k for my end film and aspect ration of 1:2.39 (widescreen version). It&apos;s not only looking more cinematic but also give me a room to maneuver with my shots. I can easily zoom footage and exclude some part, I don’t want or even recompose the shots. As you can hear from my films I love to use Tony Anderson music, I think it suits perfectly for the type of footage I shoot. But if you have a budget for a composer then I highly recommend going for a second approach. Edit your film and then write a score for this. In this case, you will be more flexible with shots and exact music accents. I typically mix and edit music I license (sometimes combine two tracks into a single score) with Audition. I try to create a shorter version and also mix it better with my shots. It’s a process. Sometimes I switch back and for the between the footage edit and score edit to achieve a perfect balance. Be very selective with choosing the right sound score. It’s better to take time and have a few options just in case. 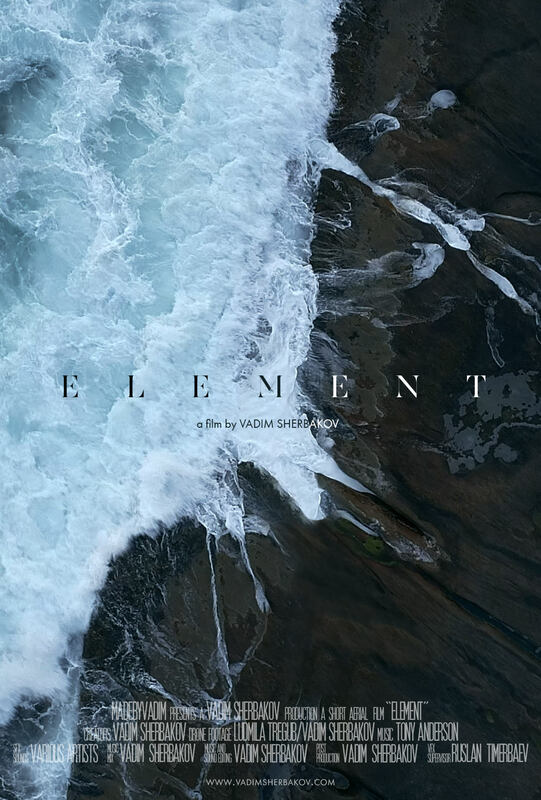 For the last film “Element’ it took me 3 months to decide on perfect music. I usually listen to the music and mark music accent then I get the rough estimations of how many clips I need for the film. Choose best clips and put them aside on timeline, then add them one by one to the score and see if they fit. Sometimes I have more than 3-5 different types of shots for one single music period. Think ahead where you will place the film title and credit title (not every film need this but its good to have it). Try to start your film with a bang! It’s easy to attract people attention to the piece when you have a wow footage straight away. If you will keep your best of the best to the middle of the film, some people may not stay that long . Of course, also try to strategically place the best of the best shots through the film so the viewer will not lose attention. If you choose to go for cinematic style film, try to limit your shots to 3-5 seconds each, then viewers will not be bored. Ditch any footage that has imperfections such as freezes, or movements jerk, or others. You can try to fix them later but be prepare for a swap if you can’t succeed. Retime carefully. Typically any 100/200/300 etc percent retime is fine but any percentage with decimal might proceed the jerkiness of the footage. After you finish with primal edit, it’s a good idea to left it for a day or so, then come back and see it with fresh eyes, or better yet show it to someone whose opinion matter to you, then they might give you constructive criticism or point to parts that you might overlook. The film title is a crucial part of the creative process. There are so many types of tiles you can create. Over footage, on a black/white/color background, creatively integrated with footage objects, 3d tiles, etc etc, My signature approach is to create titles after first bang! footage on a black background. I also try to find a score that can accommodate that style and have a room for the title. For the reference see any major Hollywood film or TV show as well as this blog - http://www.artofthetitle.com It’s full of creative ideas, but don’t overdo it. Stick to the style and mood of the film. Choosing the font for the title is also very important. It can make or break the design. Don’t just go and use the first you’ll find (Arial or Georgia ) spend more time on this. If you have a budget then hire a designer for this so he/she can give you options for the awesome font to use. Title animation is also very important, don’t just put them on the footage, think creatively about open titles, perhaps your open video have an object that moves in and out of frames so it can “open” or “close” titles. Just make fun to watch and feel professional. Again if you have budget consider hire animator, that can create a great title sequence for you. I typically use After Effects for my title animations. Since most of my films have slow movements, so do the open titles. I also slightly animate the zoom in/out movements of the tiles throughout the sequence, so they are not static after revealing. Let’s be honest with each other. Not every footage is perfect. Hollywood films are full of invisible vfx. Even if the location is a simply unbelievable sky, for example, could be boring. There could be objects, cars, people, or even yourself that are in the frame and have to be removed. Don’t let this discourage you from using the footage. This part of the creating process can help you to bring you footage to the next level. Simple sky replacement can tremendously help the style and mood of your film. Yes, it&apos;s not a simple task and you might have to learn it, but in the end, it’s worth every second you spend on it. I typically use Photoshop and a single frame from video first, to go over sky options and decided on a best one, before going into Fusion panel. After I roughly attach my new sky to the footage I know exactly that sky files to use. Then I track the footage and lumakey the old sky and attach the new one. Same goes for the object removal. It’s a tedious process and might take most of your time, but in the end, the film will be much more professional. VFX is not only limited to removal and replacement, you might want to add some artificial elements or 3D objects, it&apos;s up to you, but don’t do it just for the sake of showing off your skills, do it coherently with the film story or style. I do not yet come up with the idea for that type of effects, but I hope my next films will include some. 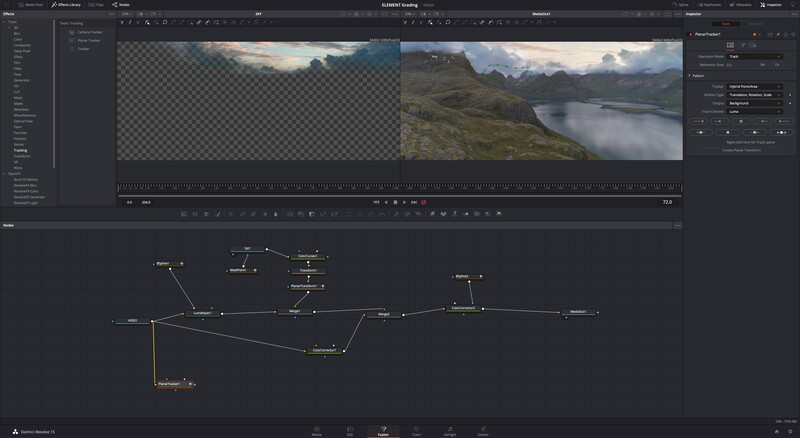 There is another part of VFX that also helps. Adding motion blur to the part of footage that is lucking it. If you shoot something without putting your shutter speed at double your frame rate you might end up with footage that lucking that cinematic motion blur and looking more artificial. Again don’t be discouraged by this use plugging (such as ReelSmart Motion Blur) to add it. I don’t encourage to substitute a real motion blur while shooting on location with the artificial plugin generated, but if needed the footage can be improved by adding it. After all editing and VFX are done, it’s time to color correcting and grading your film. Think about this part carefully. This will set a mood for the entire film, and that’s why this part is important. All Hollywood films and TV shows use professional grading artist to create and carry on the look of the film. 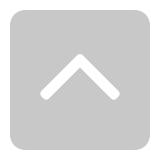 Check out https://lowepost.com blog. A great site dedicated to grading. See films or TV show you like and let it be a starting point of references for you. My typical workflow for that part is that I first color correct all footage so its looks tonally very close to each other by using waveform. Then I set a specific look at one of the clip and use it as a reference for the whole film. Obviously with many locations, different countries, different times you can’t simply use one grade for all. Instead of this be “writer in stone grading”, use this as a starting point and adjust accordingly in every situation. What about LUTs you might ask? I know some of the top graders are using LUTs, and as well as this there are tons of free and paid LUTs that promises instant amazing grade. My problem with that is - because typical LUT is designed with one or few (at best) specific location/color/time in mind they could not give you precise result every time you add them to your footage. You might use them as a starting point, sure, but always adjust and compare it not just put it on video and be done with it. Grading is where Davinci Resolve really shine. Editing part is good, but not better or worse than other software. Fusion tab is great, but you can do many things in After Effect (if you are more familiar with the “layers type” process). But grading in Davinci is absolutely great. If not for everything else, I highly recommend using Davinci just for this alone. Editing, VFX, grading is done and you are very happy with your film. But its only almost done, 90%, going further 10% that makes it even better. Subtle ambient sounds strategically place to immerse viewers even more into your film. I use Fairlight tab in Davinci to add sounds to my films, such as birds, ocean, waves, fly by, air flow, city noise, etc etc. Be careful not to overpower these sound over music score. I use the free sounds that I found online. My main site to go to - https://freesound.org .If I can’t find that I looking for where I will try Pond5 or similar for a paid sounds. Depending on your budget you can hire a sound designer that can create those six for you. Check the sound on a very loud level and on a very low level as well and adjust accordingly. Use sound limiter if needed. Now, when all is done it’s time, once again, give the film rest for a while. Check it after a day or so and see it again with fresh eyes. See if something seems wrong or need to be changed. Meanwhile, it’s a good time to work on one last part - the film poster. It’s a good idea to create a film poster. You can use it as a cover, social media posts etc. Choose the main image carefully. You might go and choose something different then you use in film, but I would recommend to select the best film’s frame and work with that. I usually create both horizontal cover (for Vimeo, YT, and other video sharing media) and vertical version (for social media). Again, this piece is quite important in terms of design, since it’s the first thing that your viewers see. Spend time on it, create options and use the best font. If you have budget use a professional designer to do so. Before creating a poster is a good idea to check the references. You can just google movie or film posters or check many Pinterest boards including this - https://www.pinterest.ru/fromupnorth/movie-posters/?lp=true , for a collection of great ideas. My film is done what next? Ok, my film is done, all is ready what next?. It’s time to deliver this to a worldwide audience. Promotion is the key, so you might consider posting your film to as many dedicated sites/blogs/services as possible. There are obvious choices such as social media post like Instagram (both feed and stories) and Facebook (there are a few dedicated drone groups that you might consider for a post), but I recommend to start with Vimeo and YouTube. Vimeo is my primary target for the film post. I like Vimeo and use it a lot. I prefer that to the YT, for so many reasons. It’s like someone said “Vimeo is to show your creation when YT is to learn how to create it” . ;) Vimeo has many dedicated channels, creative filmmakers community and of course Staff Pick award. 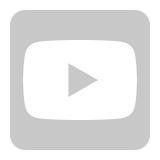 So post there first and try to include to as many channels as possible. Of course, SkyPixel is an awesome #1 choose as well, especially their cool SkyPixel Video Contest competition. There are several other dedicated drone sites (including fromwhereidrone, droneheroes, dronestargam, airviz etc) there you might also consider posting your work. What about drone film festivals? I believe that is a good idea to try to participate in at least a few of them. There is a great website that can help you to do just that - https://filmfreeway.com But don’t get your hopes too high. The drone film festivals is an emerging genre and not everything is smooth and good there. I think they luck professionalism, as well as professional judges who know about drones and drone cinematography. You might find it very discouraging then some poorly made video will win prizes and yours won’t even be considered for screen showcasing. They are more about money and hype than real cinematography. So yes do participate, just don’t be upset if you won’t win anything. Just keep creating. Thank you for reading. I hope you enjoyed this article. Absolutely amazing work, nice tutorial. Thanks! Thank you so much DJI Panda! Glad you like it! Great post is all I can say!! Thank you! Great post, and beautiful film! Thank&apos;s! Thank you Rob! Glad you like it! One of the most interesting and helpful post on the Forum. Thank you for it and for the film. It&apos;s really encouraging for hobbyist like me to learn something new and up our skills. Actually, is it part of your job, or just a passion? One of the most interesting and helpful post on the Forum. Thank you fir it and for the film. It&apos;s really encouraging for hobbyist like me to learn something new and up our skills. Actually, is it part of your job, or just a passion? Lysak, Thank you very much! I am glad you find this article helpful. It&apos;s not a main job, no. But I am close to this sort of thing in my daily work. I am photographer, and Art Director. I also worked for film industry before and something do some shooting as well. So its kinda my work but also not , if you know what I mean. Glad you like it. Don&apos;t be discouraged by "slow learning" things. It takes time and practise, just don&apos;t give up Good luck! Awesome thanks so much I am struggling with Color Grading in particular I can now take my time and read through your great ideas and try to get s bit better ! Thank you so much! I am glad you like the post. Hope you get better with Grading soon Good luck! Sherman, thank you very much. I do hope it will be helpful. Nice work! How do you export high quality photos from the video with Resolve? Thank you. In Color tab create still then press on then in the still gallery and select export, you can then choose tiff or jpeg among other formats. Fabulous post, taking it to the next level for sure. Highly informative and an asset to the whole community, very well done and thanks for sharing. It is well worth watching and reading. Great job. Thank you. Glad you like my article. Happy to help. My pleasure. 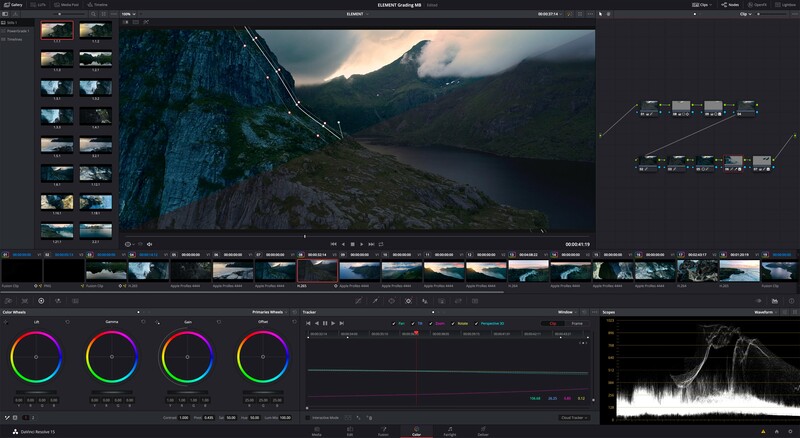 I would also recommend to check out Davinci Resolve 15 at least for the grading part. Good luck and thank you. Wow, thank you so much! What an amazing tutorial full of hints and links! It is perfect timing for me because I#m in the exact position you describe at the beginning - hundreds of Gigabyte drone footage that want to become a film or something Thanks again for the effort you put in your toturial! Tom, my real pleasure. Glad you find it useful and a good start. I wish you luck in creating your film. Vadim to be honest I prepared a sort of film with lots of my drone footage over the last weeks but now I&apos;m not sure if I should show it or better rework it When you started making films did you prefer to publish and get feedback (even if it hurts) or did you try to reach a kind of perfection (based on your knowledge at that time)? Or both? I was working in the film industry before so I had some knowledge, I never did a full short film before, but still had a clue what I want or need and how to do so. So I did finished films and then release it as final, but pushing myself every time to do better or more. You know that they saying “ Film never finished it’s just abandoned” Ping me when you release it, and good luck. Thank you very much for kind comment. And the 2.39 is 3072x1296 or 3072x1285 or 3840x1607? But since I use non standard film size it could be 3000 : 2.39 =1255 or something else for that matter. First 3000 was an example not an exact number! Second if you shoot in 4k and then use 3072x1285 as you FINAL film size and transform your original file to that size anything from (100% to 84% off original size) video will not loose quality. You can even use clever sharpen methods before delivering film. Try it and see for your self if you loose any quality. You are welcome. It’s a great software you will have fun with this. Good luck. Great tutorial, thank you very much, loved the examples that you were using.